Though small in size, rodents can have a huge impact on the well being of your home and family. Rats, mice, and squirrels are the most common rodent species, all of which reproduce alarmingly fast, which can turn a small issue into a full-blown infestation before you know it. These critters are adaptable and capable of nesting in your attic for years if not addressed properly. What are the Signs of Rodent Activity? Sound – High pitched squeaking, scratching, or scurrying noises coming from inside your walls or in the attic is a strong indicator of a rodent problem. Waste – Be on the lookout for rodent droppings which are black in color, and are about the size of rice. High concentrations of droppings indicate that you are near a nest or food source. Smell – Rodent urine has a pungent, ammonia-like scent that is easy to pick up on, and if you catch a whiff of it in your home, chances are you already have rodents in your attic. 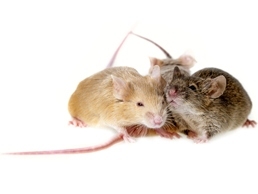 Disease – The biggest problem with having rodents in your attic is the fact that they are able to transmit any one of over 25 infectious diseases to you and your family through their waste, fur, scratches, or bites. Property Damage – Most rodents will feed on almost anything, including important wooden structures, attic insulation, and even electrical wiring – leaving you with expensive repair bills and a massive headache. For many homeowners, a DIY approach to removing rodents may seem like a great idea, but if the infestation has begun to grow already, store-bought solutions won’t be effective. When you choose the removal specialists at Critter Control® of Gainesville, you can rest assured that every last rodent will be removed from your attic, and any messes or damage will be cleaned and repaired. Call us at 352-372-3922 to schedule your free home estimate today.